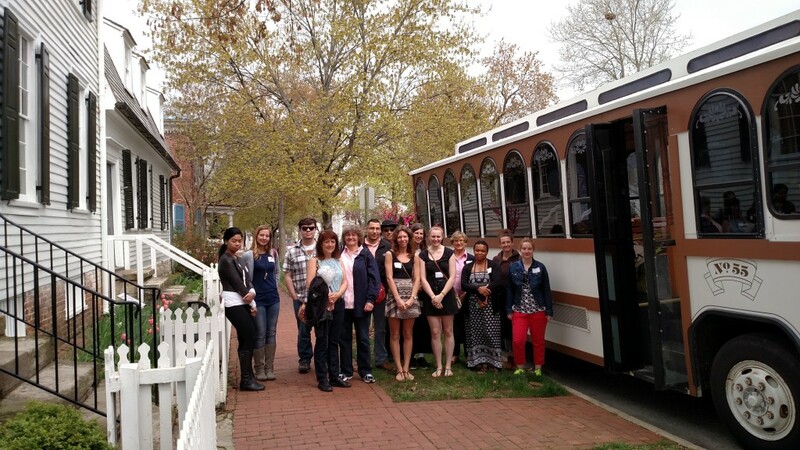 For groups of 20 or more, reserve a trolley for a private tour of downtown Fredericksburg, VA. Choose from our historic tour or African-American tour. For larger groups, more than one trolley can be provided. Group rates are available. Call or email us for more information. 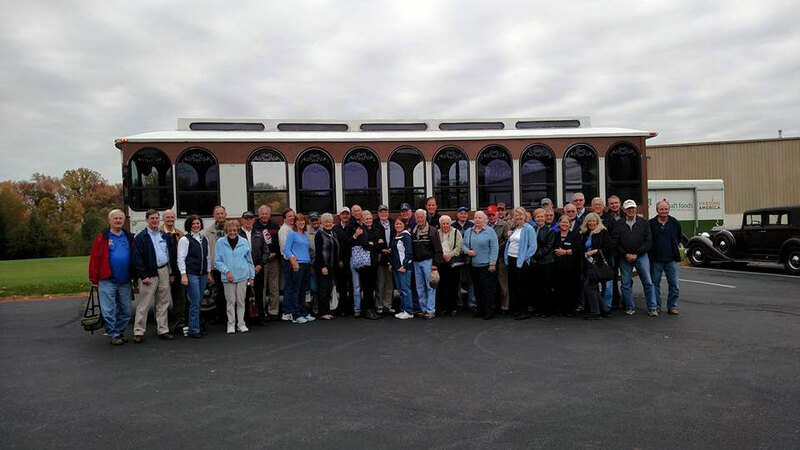 For groups of 14 or more, reserve a trolley for a Wine Tour of the four wineries in Spotsylvania County. If you would like to design your own itinerary of wineries, we can do that too! Must be 21 years old or older to take the Wine Tour. 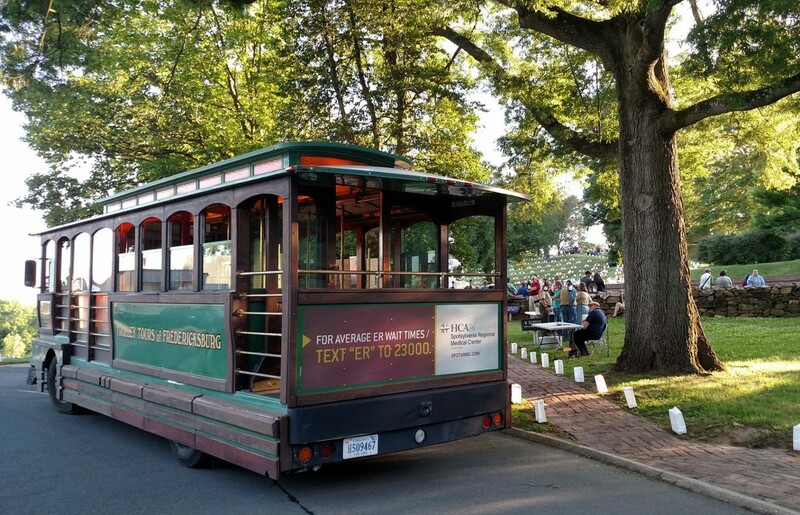 We provide shuttle services for several events throughout the year, including First Fridays, Luminaria (Memorial Day weekend at the Federal Cemetery), Heritage Festival for July 4th and UMW Family Weekends. If you are hosting an event that requires shuttle service, let us know. When your group is staying in one or more local hotels, we can shuttle them to points of interest. Call or email us with your itinerary, and we can provide the transportation. We work with many groups each year during their reunions. Some want shuttle services. Others want to take the historic tour or African-American tour. Call or email us for group rates. We work with companies and organizations to meet their transportation needs. Some take the trolley to area battlefields to study Union and Confederate generals and their leadership styles. Others ask us to transport their associates to community service work sites or to local restaurants for celebratory functions. Still others reserve the trolley to give their associates a break from the office for a tour of downtown. If your company or organization is looking for something new to give business and community partners, consider Trolley Tour gift certificates. Discounts are available for sets of certificates. 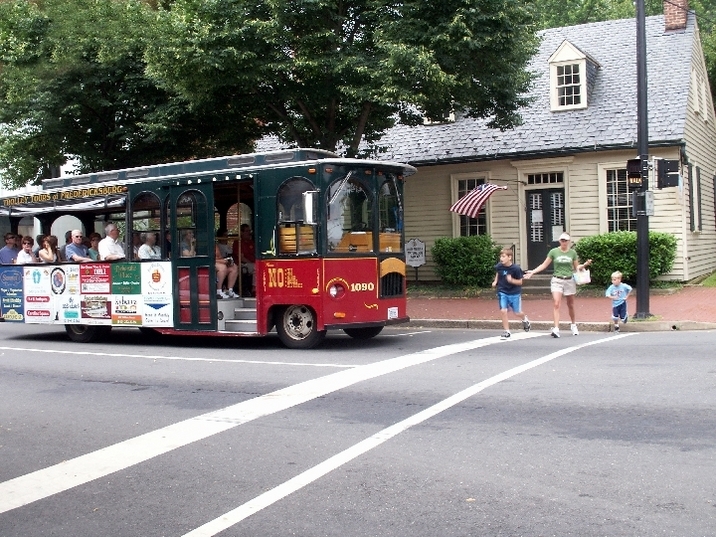 Children love riding on the trolley. We can pick everyone up at your house and transport them downtown for a kid-friendly tour. Then your group can return to your home or to a local park for the celebration. Our tours are entertaining but also educational. Public schools, private schools and homeschool groups like both the historic tour and African-American tour. Sometimes groups want the full tour. Other times they ask for an abbreviated version and combine that with transportation to one or more local attractions, such as the Mary Washington House, Hugh Mercer’s Apothecary Shop, The Rising Sun Tavern, Chatham or Belmont. Click here to buy regular gift certificates online now!